Active international exchange is now taking place throughout many parts of the world, and there are now said to be more than 1.5 million foreign students studying around the globe. Of them, 132,720 (as of May 1, 2009) are studying in Japan. What is it that attracts these students to Japan? The greatest appeal of studying in Japan is its academic environment where one can study state-of-the-art technology and acquire the knowledge that enabled Japan’s phenomenal postwar economic growth. Whether it is electronics, Japanese literature, medicine or international business administration, Japanese universities and other institutes of higher education can offer course studies or research programs of virtually any field. The ratio of students who go on to universities (undergraduate level) and junior colleges (regular courses) is also very high in Japan at 55.3% (Source: Ministry of Education, Culture, Sports, Science and Technology (MEXT) “Statistical Abstract 2009 edition”). This figure is indicative of the high standard of education in Japan. Many institutions of higher education, such as universities and junior colleges, are well equipped with fine research, computer, and library facilities and enable students to carry out their research in an excellent environment. The awarding of the Nobel Prize to four Japanese scientists in 2008 is still fresh in our minds. Mr. Osamu Shimomura received the prize in chemistry for “the discovery and development of the green fluorescent protein, GFP.” The Nobel Prize in physics was shared by three Japanese scientists—Mr. Yoichiro Nanbu was awarded for “the discovery of the mechanism of spontaneous broken symmetry in subatomic physics”; and Mr. Makoto Kobayashi and Mr. Toshihide Masukawa, for the development of the Kobayashi-Masukawa Theory and the discovery of the origin of the broken CP-symmetry, which opened up new ground in subatomic physics. Mr. Kobayashi and Mr. Masukawa were honored for the results of work done in Japan, an indication of the high level of research conducted in Japan. As of 2007, 8.2% of published academic papers were produced by Japanese researchers. (Source: Ministry of Education, Culture, Sports, Science and Technology (MEXT) “Statistical Abstract 2009 edition”). Many leading figures who are playing an active role in the world today have the experience of studying in Japan. The network of coursemates that you can build in Japan will undoubtedly become an invaluable asset for your future career. Modern Japanese culture and society consist of a diverse mix of the old and new, the East and West, and the natural and artificial. These seemingly contradictory elements coexist in harmony in Japan. For example, it is not unusual to see an old Buddhist temple and a modern skyscraper standing next to each other. With age-old Japanese traditions – as typified by those nurtured from the Azuchi-Momoyama Period (late 16th to early 17th century) to the Edo Period, which lasted nearly 300 years – at its foundation, Japan flexibly assimilated the culture of Western civilization later introduced to its soil. However, even with the rapid growth of Japanese economy and the development of advanced technology after World War II, Japan continued to retain its original culture as well. That is to say, the old and new have coexisted until today. This is what brought about Japan’s diversity and fascination which still attracts many foreigners. Japan is also a country with rich nature, diverse topography, and beautiful turns of the seasons. Haiku verse which has blossomed by absorbing the natural essence of each season is an example of a very unique Japanese literary culture. The country’s rich variety of local festivals, annual events, and folk entertainment are also most likely the result of Japan’s nature and topography. If you have been in Japan, you might say that you are a big fan of hot spring resorts, “Onsen”, a unique Japanese version of the spas. Others may know about J-Pop, Japanese films, or even the nail arts. Even those who have never been in Japan may be interested in the beauty and delicacy of Japanese cuisine – some says that it must be enjoyed with both the eye and palate – as well as Japanese culture represented by in Kimono, tea ceremony and Ikebana flower arrangement, or traditional sports such as Judo, Kendo and Naginata. There are many, many other things that make Japan attractive. Let us take a glance at a few of them. Japan boasts extraordinary skills and techniques in the production of arts and crafts. For example, Japanese lacquer is known around the world as “japan,” the very name of the country in which it originated. Characterized by its unique texture and gloss, Japanese lacquer ware gives forth an air of sublime beauty. There were times when Japanese arts and crafts were so popular that it had a substantial influence on Western art. For example, the influence of Japanese porcelain was indispensable for development of the now world-famous Meissen chinaware. During the 17th and 18th centuries, Japanese Imari porcelain (Arita ware), like Chinese porcelain, was greatly adored and treasured, especially by European royalty and the nobility, who valued it as much as gold and silver. At that time, Europeans did not possess the skills to make pure white, thin and hard porcelain. The desire and the passion to manufacture porcelain emerged from the admiration for Japanese porcelain, which resulted in the development of Meissen china. The decoration of Meissen china was styled after Imari porcelain, a trend that continues to this day. From the late 19th to the early 20th century, a vogue for Japanese culture called “Japonisme” appeared in Europe and the United States. Japanese arts and crafts heavily influenced the Art Nouveau movement, and impressionist artists such as Claude Monet and Pierre Auguste Renoir, who created many masterpieces, were strongly influenced by Japanese Ukiyo-e wood prints. Japanese arts and crafts have a very long history and are highly appreciated for fine technical qualities and beauty. They continue to be loved around the world. – Horyu-ji Temple: With a history of 1,400 years, Horyu-ji Temple is the world’s oldest wooden structure. It is also the first Heritage to be nominated from Japan. – Noh and Kyogen: Noh and Kyogen are the world’s oldest existing performance art with a history of about 600 years. They are designated an intangible cultural heritage. – Gagaku: Performed for over 1,200 years, the music and dance of Japan’s imperial court, Gagaku, is the world’s oldest form of orchestral music. – Manyoshu: Containing about 4,500 long poems, short poems and other styles of Japanese poetry spanning about 350 years, beginning with the early 5th century, the Manyoshu is the world’s oldest existing collection of poetry. The collected poems are profoundly seeped with a deep sense of humanity that straightforwardly expresses real-life emotions. As you may recall, at the 81st Academy Awards the 2008 Oscar for Best Animated Short Film went to the Japanese film La Maison en Petits Cubes (Tsumiki no ie). The film had already been honored at numerous other film festivals both in Japan and abroad, including the Annecy International Animated Film Festival in France, where it received the Cristal d’Annecy. The Oscar was the culmination of a 20 award winning streak. There are many different ways of studying in Japan. Regardless of the course you choose, from Japanese-language training to postgraduate studies, we are confident that coming in touch with Japanese culture and lifestyles will prove to be an invaluable experience for you. 1. Kedutaan Besar Jepang menawarkan Beasiswa Pemerintah Jepang (Monbukagakusho) kepada siswa-siswi Indonesia lulusan Sekolah Lanjutan Tingkat Atas (SLTA) untuk melanjutkan pendidikan ke Universitas (S-1), College of Technology (D-3) atau Professional Training College (D-2) di Jepang mulai tahun akademik 2011 (April 2011). Pelamar hanya bisa mendaftar 1 (satu) program dari S-1, D-3, atau D-2. (1)Lahir antara tanggal 2 April 1989 dan tanggal 1 April 1994. 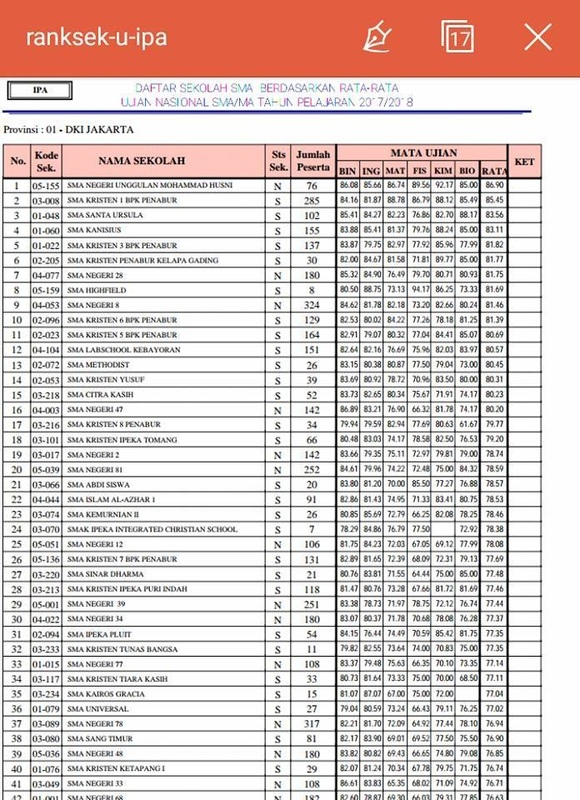 *Jika pada saat penutupan (10 Juni 2010) nilai ijazah asli belum bisa dikeluarkan, maka nilai ijazah sementara dari Kepala Sekolah bisa diterima. (3) Pelamar harus lulus dari SLTA. 2. Formulir pendaftaran dapat diperoleh secara gratis untuk mereka yang memenuhi ketiga persyaratan tersebut di atas di Kedutaan Besar Jepang (Bagian Pendidikan: 8:30-12:00, 14:00-15:30), Konsulat Jenderal Jepang di Surabaya dan Medan mulai 10 Mei 2010. Mereka yang tinggal di luar JABODETABEK, Surabaya dan Medan dapat melamar melalui surat yang ditujukan kepada Kedutaan Besar Jepang (Jl. M. H. Thamrin 24 Jakarta Pusat 10350), Konsulat Jenderal Jepang Surabaya atau Medan. Surat itu harus berisi nama, tanggal lahir, alamat, nomor telepon, program pilihan (S-1, D-3, atau D-2), 3 (tiga) bidang studi yang ingin dipelajari dan dilampiri fotokopi rapor, ijazah, serta nilai ijazah. 3. Formulir harus dikembalikan ke Kedutaan Besar Jepang atau Konsulat Jenderal Jepang lengkap dengan fotokopi rapor, ijazah, dan nilai ijazah sampai tanggal 10 Juni 2010. Rasanya baru kemaren saya harus melihat siswa bersusah payah untuk belajar dan mendapatkan hasl terbaik. Teta[i dua hari ini kembali saya harus melihat beberapa siswa yang harus mau tidak mau kembali melihat tertundanya keberhasilan mendapatkan Perguruan Tinggi idaman. Padahala dengan jelas saya melihat mereka berjuang secara ALL OUT. Ada yang sebelumnya belum berhasil ketika ITB mengumumkan, ada juga yang ketika UI mengumumkan peserta SIMAK yang berhasil. Dan 2 hari ini, Universitas Gajah Mada dan Universitas Diponegoro mengumumkan Ujian Tulis dan Ujian Mandiri. Lagi-lagi ada siswa yang belum mampu tersenyum puas dan bahagia. Ada apa dengan perjuangan selama ini ? Sekarang saya akan coba kalkulasi kegagalan para siswa dari sisi guru Bimbingan Konseling, maunya sih dari sisi paranormal, uppsss. Siswa selama ini tidak pernah mengevaluasi kemamuan secara “benar”. Try out yang seharusnya menjadi media untuk itu, gagal berfungsi. Dari menyontek, kurang persiapan, main-main hingga menganggap remeh. Point yang terakhir itu yang paling parah, heheheh. Siswa tidak mampu mengevaluasi “kegagalan” yang ada. Semestinya siswa mulai tahu keslahan fatal ketika nilai try out atau pun kejenuhan belajar terjadi. Nilai try out yang tidak naik-naik itu berhubungan erat ketidak mampuan meningkatkan daya belajar dan optimalisasi kemampuan. Kejenuhan belajar terjadi karena merasa nilai sudah bagus da tidak adanya variasi pemebelajaram. Yang dibutuhkan bukan banyaknya jam belajar tetapi diteruskan dengan sekian jam “rileks” ke Mall ata 21 cineplex. Persiaan sehari sebelum ujian, merupajkan ujian sesungguhnya. Energi yang terbuang saat sehari sebelum ujian, sebenatnya merupakan pengeluaran yang besar, apalagi jiak terlalu meninggalkan kosnsitensi. Kepala diendapkan, sama halnya mematikan mesin yang sedang “panas”. Dukungan orang tua yang berlebih malah cenderung menjadi BOOMERANG buat si anak. Justru kepercayaan yang harus dibangun para orang tua aga anaknya mampu berpijak secara kuat dalam ujian apa pun. Bukan harapan kosong,” nanti ayah beliakn mobel JAZZ warna merah.” Bullshhht lah. Doa kepada Allah di keheningan malam akan menjadi sia-sia jika ada dosa-d0sa dengan orang yang paling berjasa dalam hidup kamu belim hilang. Doa orang iklhas akan mencapai Arrasy Illahi. Yakin itu. Dari 6 butir ini saya berharap adik-adik, anak didikku, teman-teman bahkan orang tua siswa untuk dapat membangun kemitraan dengan para siswa yang mungkin emosinya dalam keadaan kurang stabil. Tidak ada kegagalan, yang ada adalah kita salah merencanakan keberhasilan. Selamat berjuang kembali, masih ada UMB, USM Pusat, SMUP Unpad, UM Undip 2. Tetap ada doa dari saya buat kalian semua. Semoga Allah memberikan yang terbaik buat kalian semua. Amin.